"The Water Table" is an interactive installation which brings the profundity of Jordan’s water resources predicament to the forefront of the user’s imagination and intends to provoke their desire to act. 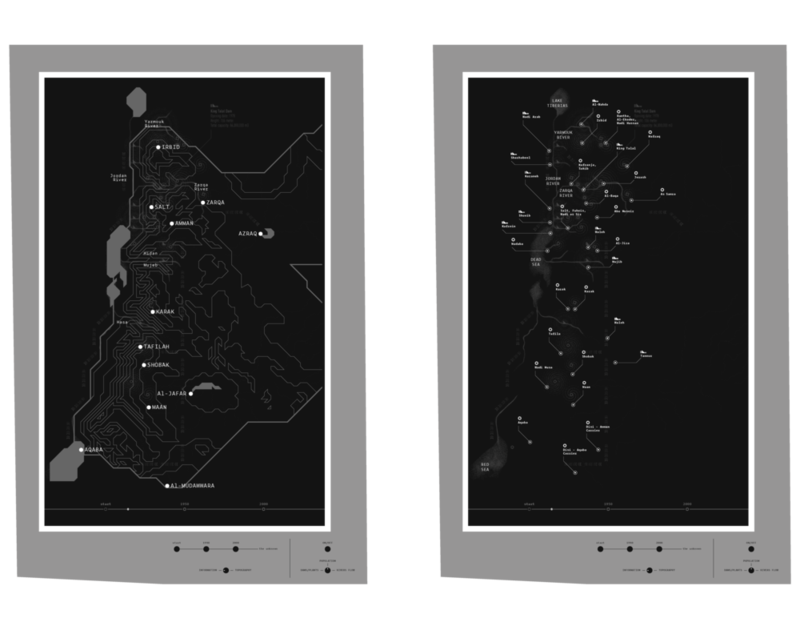 The installation projects historical data onto a water-layered surface, taking its user on a journey through the developments and setbacks that have faced and continue to face Jordan’s water sector. The Water Table then relies on subject-matter expert forecasts regarding Jordan’s water resources and population to portray Jordan’s contemplated future. Despite all the developments in Jordan’s water sector, the country’s population is expected to continue to rise while its water supply diminishes. When the Disi aquifer dries up and Jordan runs out of water, how will that affect the country’s population? Does it mean unlikely deals will need to be struck with neighboring countries? Will war break out otherwise? How can this be stopped? Should we become politically active? Should we consume water more conscientiously? These are some of the questions the table attempts to sparks in the user’s mind when confronted with Jordan’s imminent reality." The work is the product of the coming together of a multidisciplinary collective consisting of Eyas Tayyem, Ala’a Ali, Michael Schinköthe, Basheer Anani and Ahmad Sabbagh.